The worst of the Wintery weather is hopefully behind us. As we welcome the warmer Spring temperatures, with the subsequent higher humidity and fewer blustery days, we should take a look at our skincare routine, and adapt it for Spring. We don’t need the heavier creams and serums we used during Winter, and in fact using them through Spring and Summer could cause more harm than good, as our skin craves lighter textures, and less extreme hydration. That doesn’t mean we should abandon hydrating products all together – hydrated skin is happy skin after all, we should just look for lighter products to suit our skin’s needs. 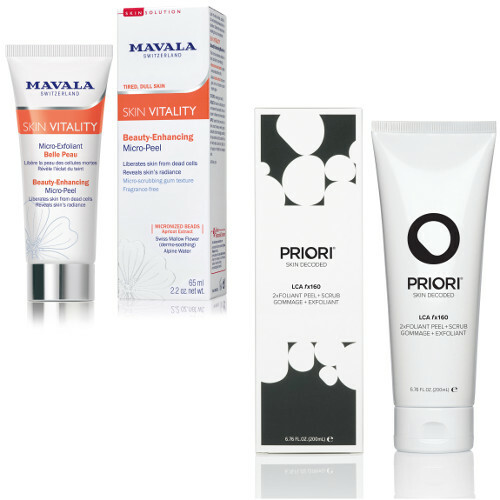 Some of our favourite Spring skincare products are listed below. 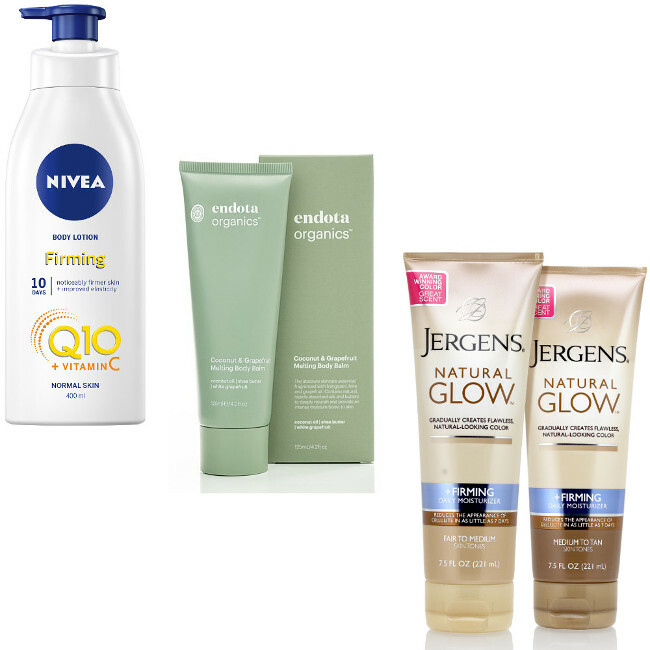 What are your go to Spring Skincare products? Let us know in the comments below. 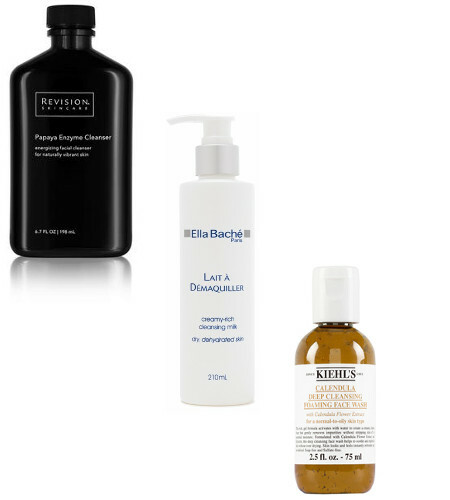 Toners are an essential part of your skincare regime. They open up the water channels in your skin, and prep your skin for the products to follow (Serums, Moisturisers etc), so you get the maximum benefit from your skincare routine. The toners of old tended to contain alcohol and mostly be used for oilier skin, however the new generation of toners have been designed for different skin types, so no matter the types of skin you have – dry, sensitive, mature, there is a toner to suit. 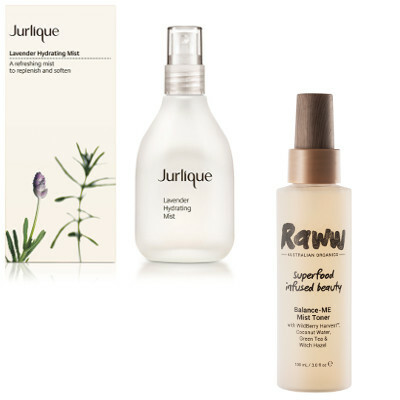 For Spring, we love the Jurlique Lavender Hydrating Mist, a lovely light, refreshing spray that can be used after cleansing, as a toner, or during the day as a hydrating refresher. The formula, with its botanical extracts, replenishes and softens your skin, whilst the Lavender helps to calm your complexion (ideal for skin that can become irritated over Spring). Suitable for normal to dry skin types. 100ml RRP $49.00. The Raww Balance-ME Mist Toner helps to cool your skin after cleansing, or during the day, and the 100% natural formula contains a multitude of beneficial ingredients (52% of the formula comes from Superfoods) to help soothe, hydrate, calm redness, and firm your skin. The Coconut, and Vanilla Lime scent is gorgeously uplifting. The slightly astringent properties of this mist make it suitable for all skin types, including oily. 100ml RRP $19.99. Although it is getting warmer, and more humid, your skin still needs hydration to keep it in top condition, and looking healthy. The easiest way to ensure your skin stays hydrated throughout Spring and Summer is with a lightweight hydrating Serum, which can nourish your skin, without weighing it down. 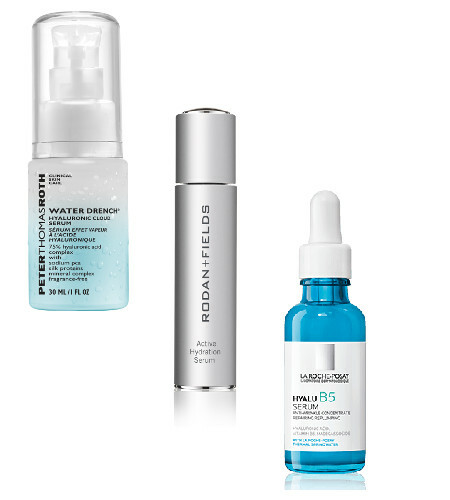 Look for a Serum with Hyaluronic Acid, which attracts water to your skin, and will keep your skin hydrated all day. Some of our favourite Hyaluronic Acid Spring Serums (in fact, you can use these all year round, they are so lightweight, yet nourishing) are the Peter Thomas Roth Water Drench Cloud Serum, a lightweight serum with a concentrated 75% Hyaluronic Serum Complex, to replenish your skin with moisture, and help minimise the appearance of fine lines. 30ml RRP $89.00. We also love the Rodan + Fields Active Hydration Serum, which raises your skins moisture level by up to 200% after a single use, and keeps it there for up to 8 hours (and your skins hydration improves over time). 30ml RRP $148.00. If your skin is sensitive, it needs some extra TLC, and the La Roche-Posay Hyalu B5 Serum is tested on sensitive skin, so you know it’s going to be gentle. The combination of Hyaluronic Acid and Vitamin B5 help to nourish and plump your skin, leaving you with a soothed, supple, fresh looking complexion. 30ml RRP $69.95. A good, lightweight moisturiser will help to keep your skin nourished, and will see you through Spring and Summer in style. If your favourite Winter moisturiser has a lighter version (whether a lotion or cream that is not specifically for very dry skin), you may find it easier just to switch to the lighter version, especially if your skin thrives on your Winter cream. 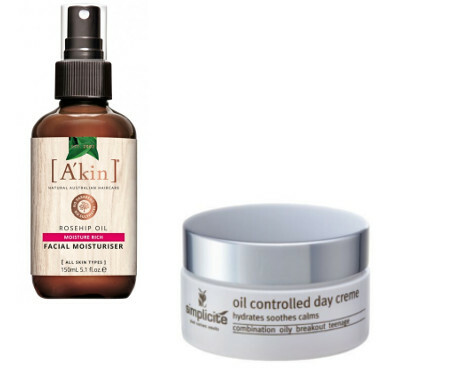 If not, we love the A’kin Rosehip Oil Facial Moisturiser. This lightweight, natural moisturiser is infused with Certified Organic Rosehip Oil, Shea Butter, and Organic Avocado Oil, to help keep your skin hydrated, soft, and full of moisture. It’s perfect for drier skins. 150ml RRP $17.95. If your skin tends to be oilier over Spring/Summer, you could benefit from a switch to an oil controlled moisturiser such as the Simplicite Oil Controlled Day Cream. The light yet nutrient-rich hydrating moisturiser is specifically designed to soothe and refresh skin, balancing the oil free and moisture needs of your skin. It has antibacterial properties, so it can also help with acne problems or blackheads. 55g RRP $46.30. A lightweight eye cream, designed to treat mature eye concerns (such as dark circles, fine lines, and crows feet) is perfect to ensure the delicate skin around your eye area is kept hydrated and protected in the warmer months. Look for a lightweight, nourishing eye cream, and use sparingly. 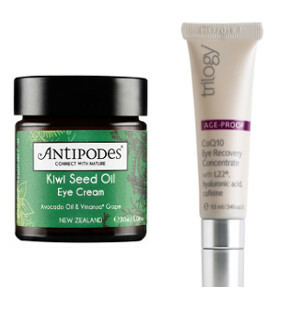 From our NZ neighbours, we love the Antipodes Kiwi Seed Oil Eye Cream. The luscious, light formula, provides a cooling, soothing effect for your delicate eye area, and is a perfect Spring eye cream for eyes which may be a little irritated. The fragrance free formula is rich in Vitamin C (from the New Zealand Kiwi Fruit) and helps to moisturise your eyes, and soften fine lines. 30ml RRP $56.30. If your eyes need a little TLC, the new Trilogy Age-Proof CoQ10 Eye Recovery Concentrate is designed to brighten and tone the skin around the eyes with natural-ingredients L22, Hyaluronic Acid and Caffeine. A metal applicator design instantly cools and helps to refresh tired eyes. 10ml RRP $39.95. Gently does it is the mantra for Spring skin exfoliation. Your skin has just come out of the Winter extremes, and is most likely trying to cope with the allergies and irritation of Spring, so it needs a little TLC. It is still important to exfoliate regularly to get rid of dull skin cells, so you can reveal the gorgeous glowing skin underneath. For any exfoliation product, you should never exfoliate irritated or broken skin – wait for your skin to calm and heal, and then exfoliate. We love the new Mavala Switzerland Beauty-Enhancing Micro-Peel (part of the new Skin Vitality skincare family for tired, dull skin – a perfect Spring skincare routine!). The gentle creamy scrub is enriched with Swiss Apricot Extract, to help energise your skin, while the biodegradable micro wax beads remove dead skin cells and help micro circulation, for an immediate improvement to your skins radiance. 65ml RRP $26.95. There is much to love about the Priori 2xFoliant Peel and Scrub. The formula contains biodegradable spherical beads to gently exfoliate your skin, as well as Lactic Acid for a mild chemical peel, delivering 2 gentle exfoliations at once. It can also be used on your face or body (the clever adaptive skincare technology allows your skin to draw as much exfoliation as it needs, so it’s gentle enough for your face, and strong enough for your body). 200ml RRP $79.00. A Face Mask is a good way to give your skin an intense boost of whatever it needs (hydration, firming, calming etc). They even give you a little bit of “me” time while you wear them – and who doesn’t need that? Face Masks contain a concentrated burst of ingredients, and if you use the mask at night, your skin has all night to absorb the beneficial ingredients. You can even use a sheet mask just before you go to bed – once you remove the sheet, just pat the remaining ingredients into your skin. 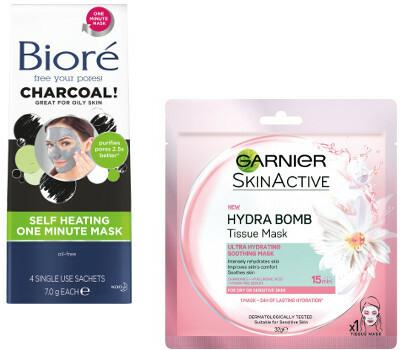 For skin that is looking the worse for wear after winter illnesses, we love the Biore Self Heating One Minute Mask. The packaging says it’s great for oily skin, but it’s its ability to draw out impurities that has won us over. If your skin is breaking out, or looking drab after an illness, this wonder mask will draw out any left over impurities, to leave you with glowing skin. It’s non-drying, and will have your skin looking gorgeous in no time. 4 x Single Use Sachets RRP $7.99. If the Spring sensitivities are playing havoc with your skin, treat your skin to a soothing, calming mask. We love the Garnier SkinActive Hydra Bomb Tissue Mask with Chamomile. The formula, with Hyaluronic Acid, a Hydrating Serum, and Chamomile comforts and soothes your skin, whilst providing an instant burst of hydration, that lasts up to 24 hours, to nourish your irritated skin. Single Use Sheet Mask RRP $4.95. The skin on your body still needs hydration and nourishment over Spring/Summer (and if you’ve neglected it over Winter, it will need a little extra attention). You can move from a heavier Body Cream to a Body Lotion or Balm in Spring, as the more humid air doesn’t deplete your skin of moisture quite as much as it does in Winter. Nivea has just added Vitamin C to some of it’s Q10 body products, and they are really good for mature skin. We love the new Nivea Firming Q10 + Vitamin C Body Lotion. The addition of Vitamin C, a powerful antioxidant, to the formula helps to fight free radicals, whilst the combination of Q10 and Vitamin C helps to firm your skin, and improve skin elasticity. The lotion absorbs instantly into your skin, and provides intense moisture for up to 48 hours. 250ml RRP $6.95. If you love a scented body product, the endota spa Organics Coconut and Grapefruit Melting Body Balm is simply divine. The intensely nourishing body balm melts into your skin on contact, and leaves it delicately scented. The coconut helps to promote moisture retention while white grapefruit is rich in radiance-boosting Vitamin C. You can use it over summer as well, as it also helps to soothe sunburn and helps to prolong a tan. 125ml RRP $55.00. If you prefer your moisturiser to provide you with a gorgeous glow, especially just coming out of Winter, we love the Jergens Natural Glow + Firming Daily Moisturizer. The formula gradually builds into natural looking colour, and is available in two shades – Fair to Medium, and Medium to Tan, so you can tan to a shade to suit any skin colour. The Jergens Natural Glow + Firming gradually helps to firm up your skin and improves skin elasticity, and helps reduce the appearance of cellulite, and that is good news for mature skin! 221ml RRP $14.99. It is so (so, so) important to protect your skin with sunscreen when you are outdoors, especially early Spring when your skin has been covered up all winter, and is so susceptible to being burnt. Not only will applying sunscreen help stop you from getting sunburned, which in turn will help reduce the chance of developing melanomas, it will also help slow down the ageing process – win-win! You should use a separate sunscreen for your face and for your body, as face sunscreens provide extra moisturising ingredients for your face, and some are tinted so you can wear them alone or under makeup. For the face, even though being a CC Cream, it is so much more than a sunscreen, we love the IT Cosmetics Your Skin But Better CC+ Cream SPF50+. The highly pigmented, multi-tasking CC cream covers everything, and finishes with a healthy-looking glow. Developed with leading plastic surgeons, Your Skin But Better protects against both UVA and UVB rays in a non-chemical sunscreen formula, and is infused with Hyaluronic Acid, antioxidants, and natural botanicals, to help improve skin texture, brightness and hydration. Available in 12 shades, (new shades launched at the end of September). 32ml RRP $61.00. If you prefer an oil free formula over Summer, the newly launched Your Skin But Better CC+ Oil Free Matte SPF 40, has all of the benefits of the original, in an oil free formula, which helps to reduce shine and control oil for up to 12 hours. Available in 12 shades. 32ml RRP $61.00. New from The Cancer Council, Moisturising Sunscreen SPF 50+ is a great product for Spring, when your body is still a little dry and neglected after Winter. The dual benefit Moisturising Sunscreen SPF50+ is a daily body moisturiser that provides broad-spectrum protection. The formula combines very high sun protection with moisturising ingredients, Aloe Vera and Vitamin E, to protect and hydrate your skin. The formula is also lightweight and four hours’ water-resistant, making it a perfect choice for those who are outdoors, and on the go. 110ml RRP $13.95, 200ml RRP $19.45. 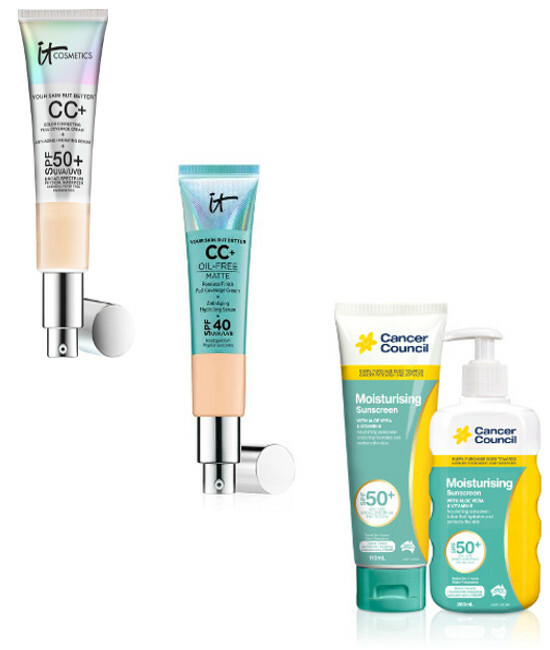 Every purchase of The Cancer Council sunscreen helps fund cancer research and services. There you have our top tips for Spring-worthy skin – getting it and keeping it. What do you change in your skincare routine for Spring? Which products do you use? Let us know in the comments below.